Roger Gould, M.D., is a board-certified psychiatrist, psychoanalyst, author, and former head of Community Psychiatry and Outpatient Psychiatry at UCLA. 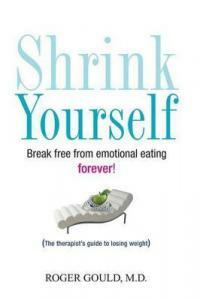 Dr. Gould is one of the world's leading authorities on emotional eating and adult development. His work on the life cycle was used by Gail Sheehy in her #1 bestselling book, Passages, and in his own book Transformations. Dr. Gould has pioneered the use of online therapy sessions focusing on weight loss and other issues, and he has been acknowledged by the Smithsonian Institute as a pioneer in the innovative use of computers in psychiatry.